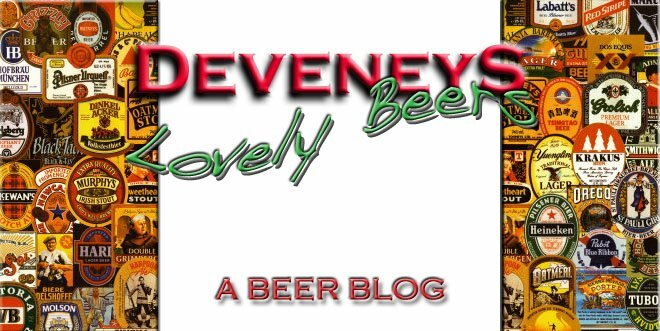 Deveneys of Dundrum: Hilden Brewing Company, Belfast. I'm always really excited to get in a few new Irish beers. The Hilden Brewing Company are Ireland's oldest Independent Brewery. These guys are situated between Lisburn and Belfast and it's not Harp!!! I went for The Belfast Blonde, 4.3%: A clean, pale beer with a hoppy nose and a floral palate. 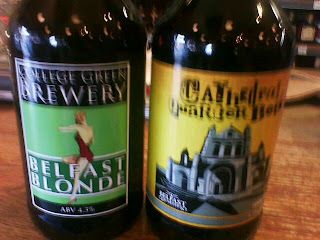 The Cathedral Quarter beer, 5.3%: Classic red ale with a full bodied round fruit palate.